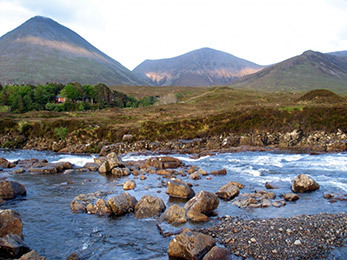 Highlands and Islands tour with excursions to Skye, Mull, Loch Ness and Inverness and staying in a pretty fishing port where our hotel offers wonderful cuisine. The West Coast of Scotland has some of the most dramatic wild scenery to be found in the British Isles, with mountains, Lochs and castles aplenty. Our base for this tour is the West Highland Hotel, located overlooking the picturesque Scottish Highland village of Mallaig, which lies at the end of the beautiful "Road to the Isles", starting some 35 miles away in Fort William. Mallaig was at one time was one of the most thriving fishing ports in Scotland and still today the harbour is full of life and activity. 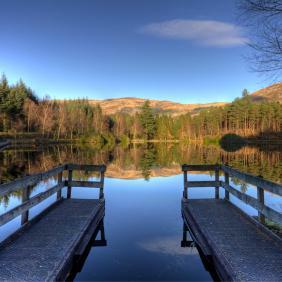 After an early morning departure, we travel North via Loch Lomond and Fort William to our hotel in time for dinner. We depart Mallaig after a leisurely breakfast for a full day tour to Skye via the morning ferry to Armadale. Free time will be available during the lunch break at Portree to browse the local shops. A day at leisure in Mallaig to browse in the many varied shops or stroll to the harbour and watch the fishing boats come in and unload their catch. Get ready for the evening entertainment and the hotel is holding a typical Highland Hogmanay with live music. We depart Mallaig after a late leisurely breakfast for a full day tour to Skye via the morning ferry to Armadale. Free time will be available during the lunch break at Portree to browse the local shops. After an early breakfast, we leave Mallaig and retrace our journey through Glen Coe and the shores of Loch Lomond, arriving home mid evening. The hotel has been run by the same family for many years. With their vast experience they know how to look after guests properly, and will ensure that your stay is everything you hope for. The hotel is fully modernised whilst still retaining the traditional character and charm of an age gone by. An oak panelled staircase and open coal fire burning in the entrance hall enhance the old world atmosphere, which prevails throughout the building. The attractive and comfortable accommodation which we offer, coupled with true Highland hospitality, transports our guests away from the hustle and bustle of a hectic present-day lifestyle into a slower pace of life you will be reluctant to leave behind at the end of your holiday here in the Highlands of Scotland.